Global launch on April 23, 2019. 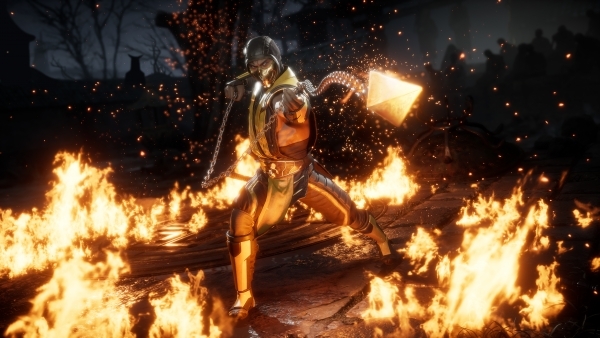 Publisher Warner Bros. Interactive Entertainment and developer NetherRealm Studios announced Mortal Kombat 11 for PlayStation 4, Xbox One, Switch, and PC at The Game Awards 2018. It will launch worldwide on April 23, 2019. A community reveal event will be held on January 17, 2019. Pre-orders will include Shao Kahn as a playable character and beta access. Mortal Kombat 11 will make its first gameplay debut at Mortal Kombat 11: The Reveal, a highly experiential, community celebration of Mortal Kombat, taking place at 11:00 a.m. PST on Jan. 17, 2019 in Los Angeles and 7:00 p.m. UTC in London. Mortal Kombat 11: The Reveal will be live streamed globally on Twitch and will feature a keynote presented by NetherRealm Studios. The event will also include the first opportunity for hands-on with Mortal Kombat 11 gameplay, tournaments and other Mortal Kombat themed activities. Available for pre-order beginning Deember. 7 is the Mortal Kombat 11 standard edition for $59.99 SRP. The Mortal Kombat 11 Premium Edition is also available for pre-order at $99.99 which includes the base game and the Kombat Pack. All pre-orders will receive the in-game, playable character, Shao Kahn. Those who pre-order on PlayStation 4 and Xbox One, at select retailers, will also receive access to the beta, which will be available in March for those platforms. PC, PlayStation 4, Switch, Top, Xbox One, Clips, Fighting Games, Game Announce, Mortal Kombat 11, Screenshots, The Game Awards 2018, Trailers, Warner Bros.